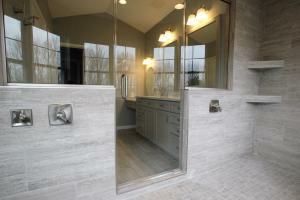 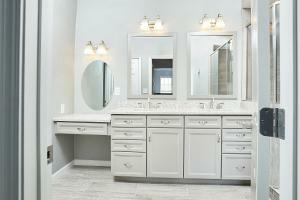 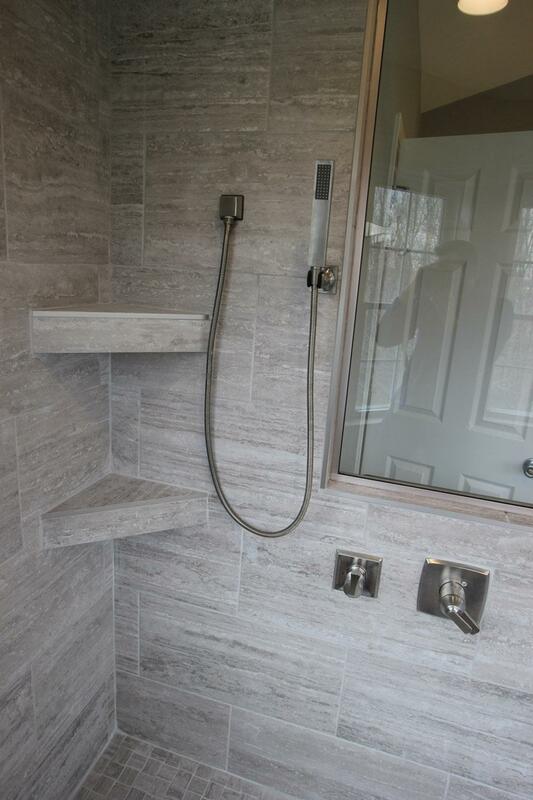 The Lintker’s purchased a new home in Freeburg Il and wanted to remodel their master bathroom before moving in. 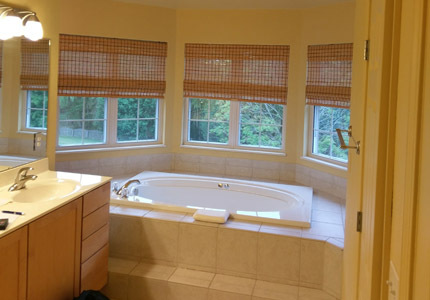 The old layout of the bathroom included a huge whirlpool tub next to the windows, and a separate small room with toilet and small shower. 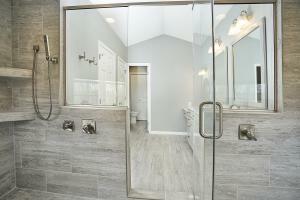 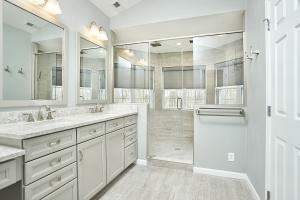 When construction began, the bathroom was “gutted”: the tub deleted, and the shower removed from the separate room. 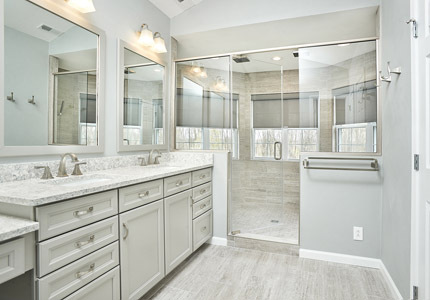 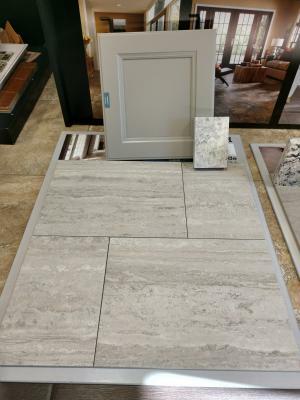 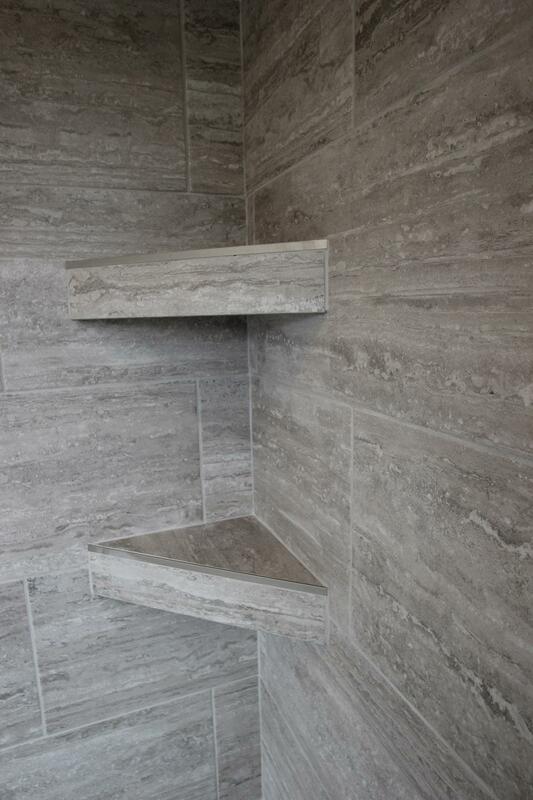 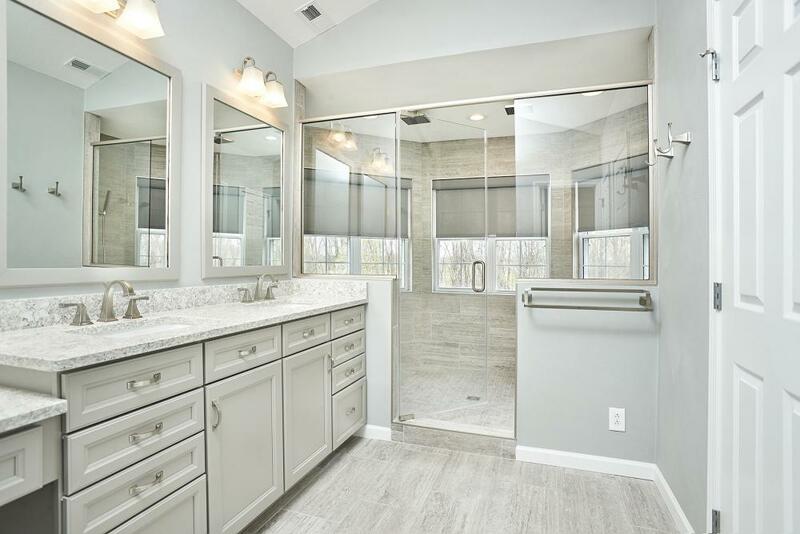 Instead, the new design allowed for an expansive 11’ x 5’ walk-in shower, with a frameless hinged shower door, and Path Silver-Pearl porcelain-tile flooring. 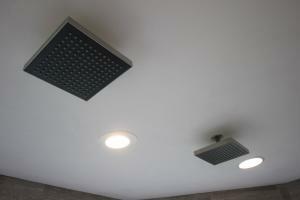 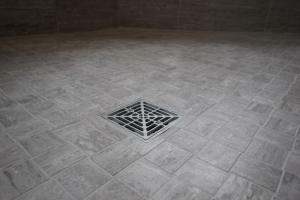 The shower also showcases a hand- shower head and two square rain-can shower heads from the ceiling. 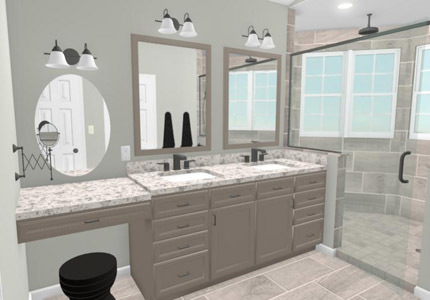 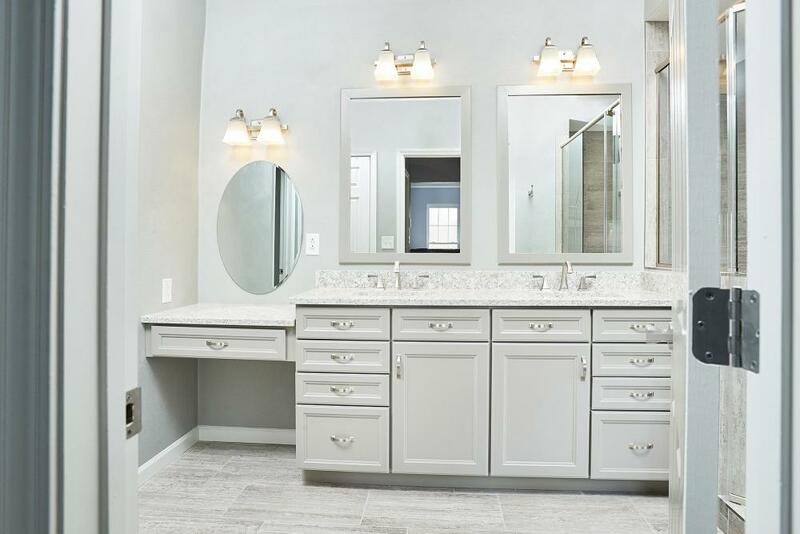 Other features of the bathroom include Everest Quartz countertop, Aristokraft Stone Grey cabinetry, Torino stainless 2-light vanity lights, plate-glass mirrors wrapped in trim to match the cabinets, and Delta Dryden fixtures. 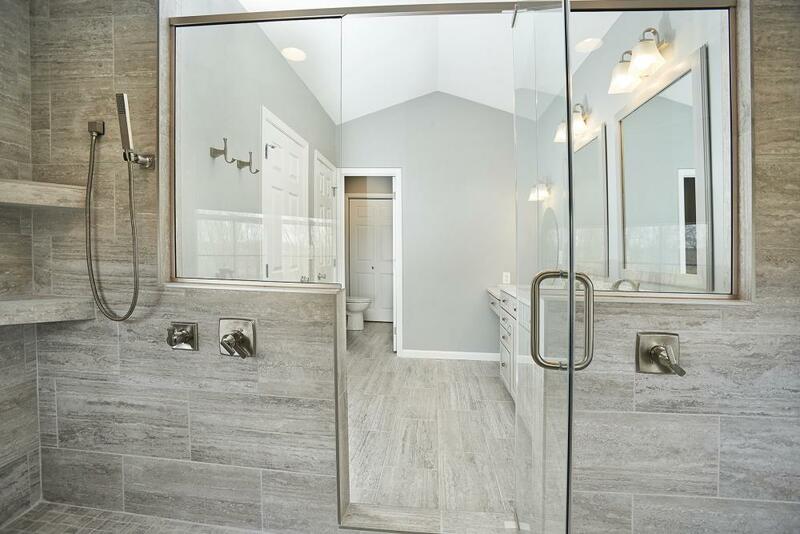 This amazing grey master bath created the perfect space for the Lintker’s and allowed them to feel completely at home during their move in.